Simone Sawyer is a Junior, Psychology major Public Health minor at Spelman College. She currently conducts research with Dr. Natalie Hernandez at Morehouse School of Medicine and Dr. Teaniese Davis at Morehouse College, focusing on unintended pregnancies among African American men and women in college. Simone has previously conducted research at the Grace Crum Rollins School of Public Health, Emory University where she was able to help implement HIV/STD prevention interventions for high risk African American women and analyzed data from pre and post test results. Simone is interested in research involving HIV/STD’s, reproductive health, education and any research that addresses health disparities in underrepresented communities. Simone has had the opportunity to present her research the Annual Biomedical Research Conference for Minority Students (ABRCMS) in 2014, the Curtis L. Parker Student Research Symposium, Spelman’s Research Day and The Black Doctoral Network Conference in 2015. 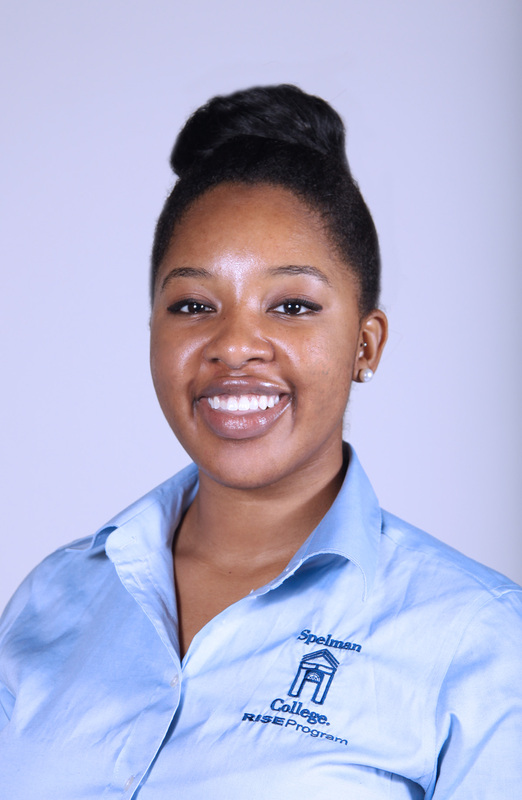 Along with her research, Simone is involved in Student Health Associates and Peer Educators (SHAPE) and Alpha Lambda Delta National Honor Society, where she holds e-board positions in both organizations. After Spelman, Simone plans to enroll in a program where she can receive her Master’s in Public Health (MPH) and Ph.D. in Psychology. Simone plans to go into academia as a professor, continue to conduct research and mentor other up in coming researchers. She ultimately wants to take her knowledge of research, psychology, and public health to the community to further aid high risk women and children.